A mutual fund that can invest irrespective of the market cap of the companies is known as multi-cap mutual funds. The biggest advantage a multi-cap fund has over a large-cap or mid-cap fund is – it doesn’t have a limitation to the amount of exposure it can take to midcap stocks in a rising market or a limitation of a mid-cap fund which can’t move to large-cap stocks in a falling market to limit its fall. 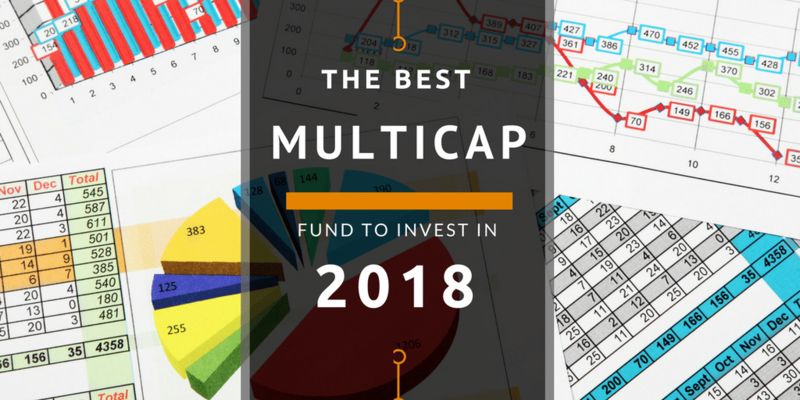 Read: The Best Large Cap Funds To Invest in 2018 & The Best Midcap Fund to Invest in 2018. A multi-cap fund can change its nature according to the market condition but more importantly, some of the multi-cap funds also invest in the overseas market making them even more attractive investment destination in 2018. Typically we start with the top-rated multi-cap funds from ValueResearchOnline and then select one or two funds that can perform the best based on criteria that we think will outperform in the near future. I started with the 4 and 5 star rated multi-cap funds from ValueResearchOnline and then I went through the top holdings of each of those funds. I found a striking difference in a fund and it is the possibly the best multi-cap fund of 2018 for me. The fund that has exposure to the companies listed in the US. It is the only fund I found has investments in companies in the US. It has 3 large investments in Google (Alphabet Inc), Facebook and 3M. I also read some user comments for the fund on VLO. Some users have mentioned that the fund has invested in Suzuki motors which have been quoted as Maruti Suzuki and others have commented that the fund has exited IBM but it still shows as an investment. 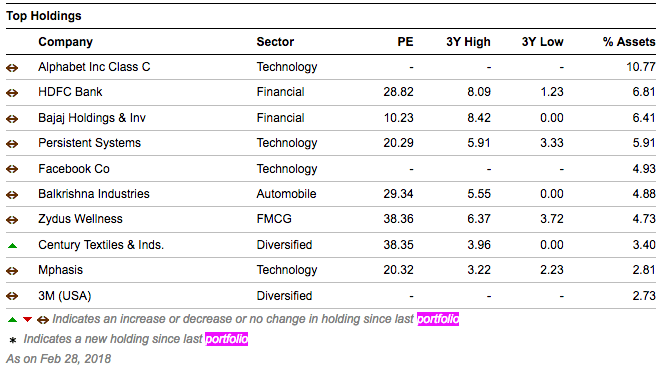 Again I am not pointing out the mistakes of VLO in reporting or updates but it is to point out that fund is active in its investment in the best companies of the US and there are a lot of retail investors who are also following the same. If you follow the discussion thread, you will find that there has been some discussion about returns from this fund as well but investment in such funds has more reasons than just the return. Diversification – If you really want to diversify, this is one fund where you can invest in the companies you use on a daily basis. Google and Facebook. It is my ways to find investment ideas where I am more than a happy customer of the product. Innovation – We all know about Google’s other products like YouTube and Andriod but we all may not know is, Google is very actively working towards self-driving cars. If anyone can succeed in, there is no company better than Google. Similarly, we all know about Facebook’s projects like Internet.org. So they are a good choice of investment for the next decade. Hedge – Market has run up too much in 2017 and so 2018 has to be a bumpy ride in the Indian market. An allocation in a fund that is global in nature can provide the much-needed hedge that any portfolio needs. The fund in a portfolio can mitigate the risk and safeguard the portfolio from the volatility of the market in 2018. Read: The Best Small Cap Funds To Invest in 2018. I did go through all the Multicap funds (rated and non-rated) to find if there are any other funds with international exposure. I found SBI Contra Fund has an investment in Cognizant Technology Solutions Corp. and Templeton India Equity Income Fund has in Medytox Inc. and Stock Spirits Group PLC. The exposure of these funds to these International companies is very small. I think it is early days and I expect other fund house will follow and we will have more mutual funds with international exposure for retail investors. The risk of investing in Parag Parikh Long Term Equity Fund is high because there are many moving parts including the USD-INR but as I read in comments, the currency fluctuation is hedged. Still having a lot of exposure to such a fund is never recommended.